Back pain is a very common problem that is likely to affect most people at some time in their lives. It can be caused by a variety of things – bad posture while sitting or standing, bending awkwardly, effects of ageing or lifting incorrectly. Backache is most common in the lower back, although it can be experienced anywhere along your spine, from your neck down to your hips. 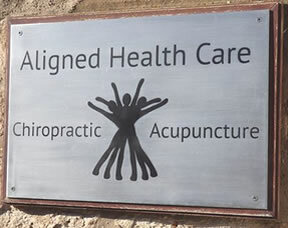 At Aligned Healthcare, our chiropractors specialise in assessing, diagnosing and managing back pain. Before starting treatment, our chiropractors will do a full assessment. This will involve taking details about your condition, current health and medical history, and performing a physical examination. It is important to gather as much information about your back pain as possible so that we can make a correct diagnosis. Our chiropractors will then explain what is wrong, what can be done and what you can expect from chiropractic treatment. Chiropractic treatment involves manual treatments such as spinal manipulation, where we use our hands to realign and free stiff or restricted joints, or mobilisation, which is the gradual moving of joints. But we may also use other recommended treatments such as certain types of acupuncture, electrotherapy, stretching exercises and rehabilitation, all of which form part of a chiropractor’s package of care. Our chiropractors may also offer lifestyle advice to help recovery and to prevent repeated episodes of back pain. If we think that chiropractic treatment is not appropriate in your case, we may refer you back to your GP or to another health professional. As chiropractors support a joined-up approach to care, they may ask if they can send a brief report to your GP.